So I am playing around with battery powered nodes and two very old solar cells that I have laying around. I am going to try to use supercaps but until they arrive, I would like a setup with non-rechargeable batteries. I am following the threads of @NeverDie and @gohan, from which I learned a lot. In the attached image I added a 1N4148 diode to protect the non-rechargable batteries. -) Is this a good thing? Or will they consume to much power and result in a trade-off solar earnings vs. additional power consumption? -) Do I need a need some kind of protection e.g. LEDs if the solar cells voltage should be too high? Concerning general battery conservation: The guide on how-to measure the battery level uses 1MΩ + 470kΩ attached to the power source. -) Wouldn't it save another few µA to to connect to a digital output which would only be set to OUTPUT 0V when measuring the battery level? No additional draining over the resistors. The diodes don't consume power, the only concern is the voltage drop and if the output voltage is enough for the arduino regulator. If I were you i'd go with no regulator and 2 AA (or a single LiFePO4 AA) batteries directly and forget solar panel; just strup everything you can to lower sleep current to less than 10uA. Resistor drain is negligible. 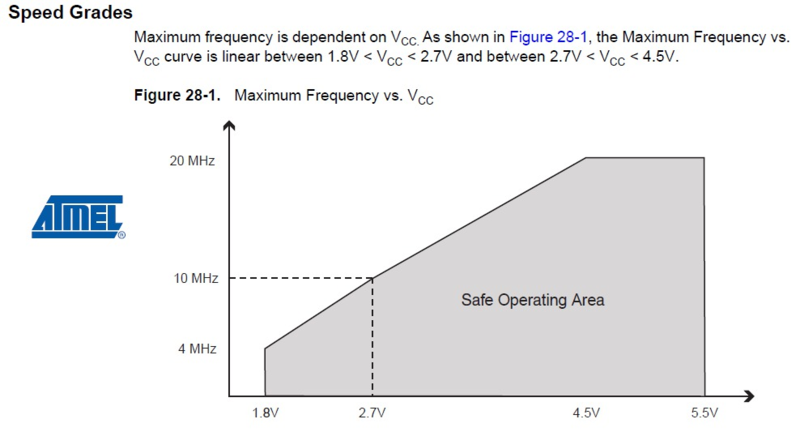 If you go without regulator you could read voltage directly with VCC library. @gohan Thank you for clearing this up! Couldn't find anything on the consumption of these diodes. I am really considering ditching the solar panel and just use a lifepo4 battery, much less hassle and I ca even think to do OTA updates since the process is quite slow and will for sure drain the supercaps. It likely does not matter much in this case, however the diodes do consume power. You could reduce the diode voltage drop (not for power savings but for additional usable battery life) if you replaced the 1n4148 with something like a BAS86 (i'm sure there are others). @johnrob Ok, just like with a resistor. Thank you for clearing this up. I assumed but wasn't sure. I'm sorry, but this is hogwash. There's plenty of light outdoors, even if you're in the shade. Also, the solar charging circuit is cheap. The only "expensive" part is a good quality 10F supercap for $2. If you do it right, your node can run practically forever. The only limiter I see might be UV oxidation of the solar cell plastic, which would degrade it over time. The right way to counter that would be to put it behind glass and/or some other UV filter, although I can't say that I've tried that yet outdoors. Probably best would be to avoid cheap solar cells that are encased in in cheap resin and just use glass to protect it from the elements. That should last. OK, fine, the OP can do this simple test to settle the matter for his particular location: hook your solar panel, whatever it is, up to a blue LED. Wherever you can light that blue LED from, you have enough light to confortably power a simple TH node without resorting to exotic technology if you collect the power into a supercap. I think you'll be surprised just how many places around your house--both outside and inside--can light that blue LED. and power your node directly from the supercap. It's simple. It's cheap. It's tested. It works. Why complicate matters? @neverdie How do you get from 2.7V to 3.3V? With another DC/DC booster? @gunther I don't. Ditch the LDO on the pro min. The pro mini can run just fine even down to 1.8v. Pick sensors that also do that, and then you're golden. BME280 and si7021 can both do that. Most wireless can also run fine even as low as 1.8v. @neverdie Will try! But that means the NRF24L01 is also out? And am I correct to connect the 2.7V to VCC not RAW? And am I correct to connect the 2.7V to VCC not RAW? Yes. Also NRF24L01 voltage range is 3.6-1.8v, so it's not a problem either. @gohan That's true, but if it's a problem, use a larger supercap. The pricing is non-linear, so, for instance, twice the farads costs less than twice as much. 10x the farads costs much less than 10x as much. I don't think the economics generally favors boosting. You simply have capacity that never gets used. @neverdie Ok, so now I have desoldered the Arduino Pro Mini power regulator and I now see a sleep current of 6µA with 3.2V. One thing I see is that the node only works down to 3V. With 2.5V it is not stable anymore. This is just the Arduino Pro Mini with attached NRF24L01. Maybe this is expected? I checked visually that I have indeed the 8MHz variant. I just tried to test it with parts I could get my hands on. Could someone please tell me why the Battery Powering page advises to cut Vout? And what is it? It seems to me that this disconnects the Vcc on the shorter end? To what consumption does the connection lead. I find it convenient to have another Vcc pin available. Did you remember to remove the LDO? Because otherwise it gets backfed, which is not what you want. Also, yes, in theory you are running it out of Atmel's official spec if running at 8mhz at 1.8v, but I don't know and haven't read of even a single person who has ever had a problem with doing so. Doing this is very common. In summary, though, I do think that for most people, the approach of using a diode and LDO in concert with the solar cell and supercap is going to be the simplest and best solution for them. @gunther did you update fuses to lower BOD ? I don't understand, the LDO is needed for charging the supercaps? I would be very glad if I got to lower voltages, I am just trying to understand why I can't get below ~2.9V (at the Arduino). Still getting to grips with the terms. You mean the 1N4148 diodes? And BOD refers to lower voltage difference? No, not yet. I just plugged together parts, I could get my hands on to try to understand everything. I will then order the parts that are ideal. @NeverDie I promise to read all comments in existing threads! I successfully confirmed that the Arduino Nano when attached to USB uses 2^10 channels with 1.1V reference. For the Arduino Mini Pro I also see 2^10 = 1024 channels with 1.1V reference when the power support comes from USB, what I assume to be a high quality power supply. However, when I run it off the capacitors + solar cells giving 3.3V I only get 2^8 = 256 channels with what appears to be ~1.1V reference. That is when I apply a voltage >1.1V I always get 255. I added various capacitors from 0.1-4.7 µF in parallel but that didn't change anything. Should I just leave out the MISO connection? As long as you don't have radio connected (it will not survive 5V Vcc) or 3.3V sensors, you can connect Vcc of your pro mini with 5V, atmega328 can run at this voltage without problem. IC is exactly the same. So if you bypass the regulator by providing 5V directly to Vcc your board and I/Os will run at 5V. [Edit] if you have radio and/or 3.3V sensors connected, you need to connect vcc of the pro mini with 3.3V and use a voltage converter for the SPI pins. @Nca78 Yes, that should have been clear to me by now. Checked, tested and even redid the soldering to exclude any wiring problems. Turns out adding a cap (0.1 µF in my case) between the programmers GND and RST did the trick. sendBatteryLevel only uses 8-bit: i.e. value from 0-255. Don't try to send your raw 10-bit sensed input from e.g. A0 directly with it.